This belt absolutely POPS! EUC! 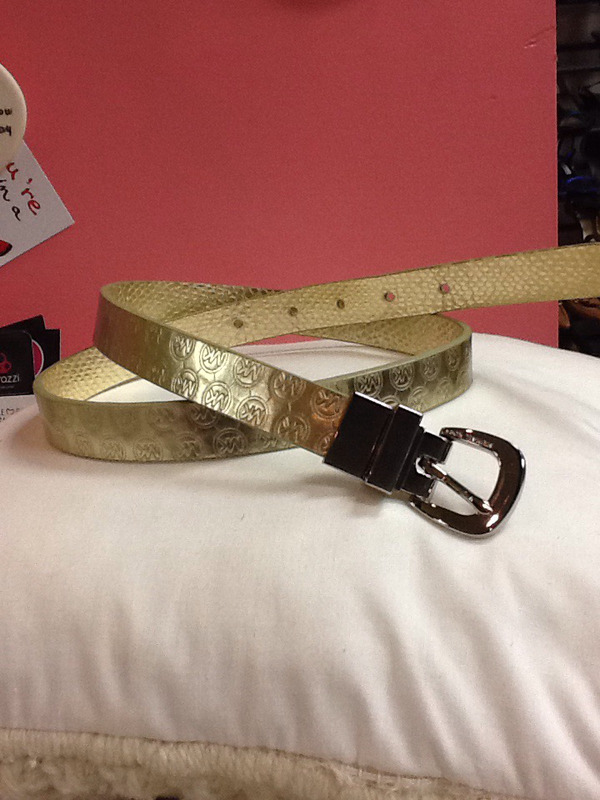 Reversible with one side stamped with the MK signature and the other side stamped with a snake skin print. Measures 38".